Hey, it's the Hickory Bottom Band! Tight three-part harmonies, solid pickin', and lotsa fun are the hallmarks of this fine western Pennsylvania-based band. Every member has a rich musical history in a variety of genres, so the material ranges from both well-known and obscure bluegrass classics, to grassy versions of select radio hits from the past 40 years. 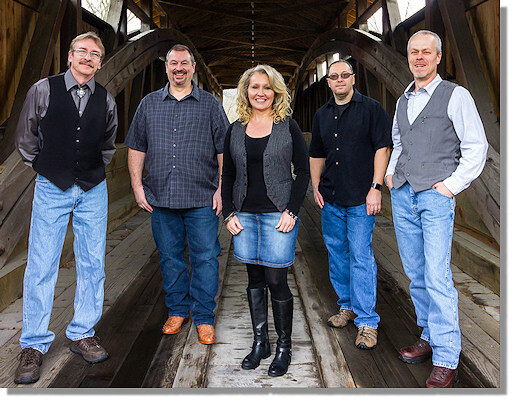 But no matter the music's source, it's "all bluegrass" from this talented bunch! Welcome to the sound of the Hickory Bottom Band. We hope to meet you soon! ...to all the fans and friends of the Hickory Bottom Band. We look forward to being a part of your next festival or event. Be sure to "like us" on Facebook, a great place to find Hickory Bottom Band news and details on upcoming shows. The link is above.